One of the best things about getting to travel so often for work is that I get to dine at amazing places all around the world. 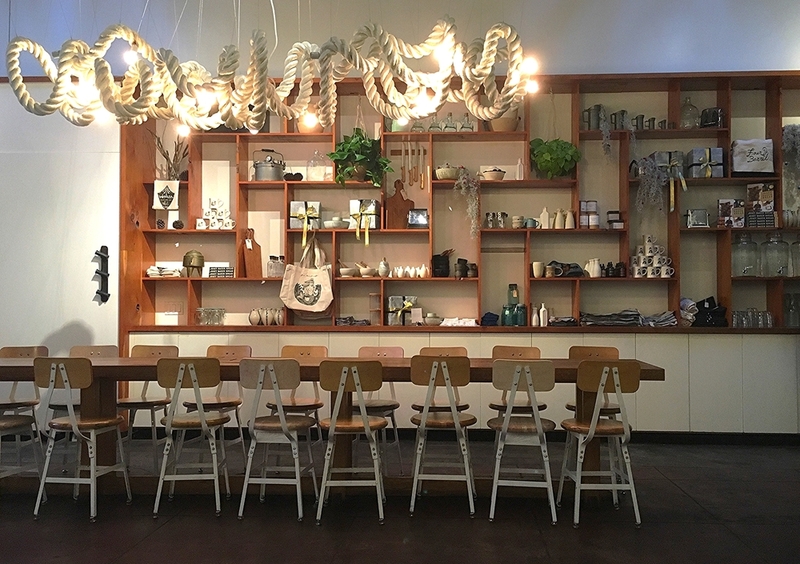 The Mill in San Francisco has a cult following (as seen on social media), and for good reason. True, it's just bread and coffee, but it's Josey Baker Bread and Four Barrel Coffee, which is some of the best around. All their bread is freshly baked each day, so get a loaf to take home and enjoy later. While there, however, you should indulge in their specialty item- toasts. Thick slabs of bread, toasted, and topped with various spreads and toppings. Think almond butter & cinnamon sugar on whole wheat sesame bread, or dark mountain rye with cream cheese, salt & pepper. The menu changes seasonally, and there's always a weekly special too. My choice was whole wheat sesame bread with almond butter, apple butter, and sea salt! Toasted to perefection, with a crisp and crusty exterior and chewy crumb in the center. Be sure to go early so you can snag a table!